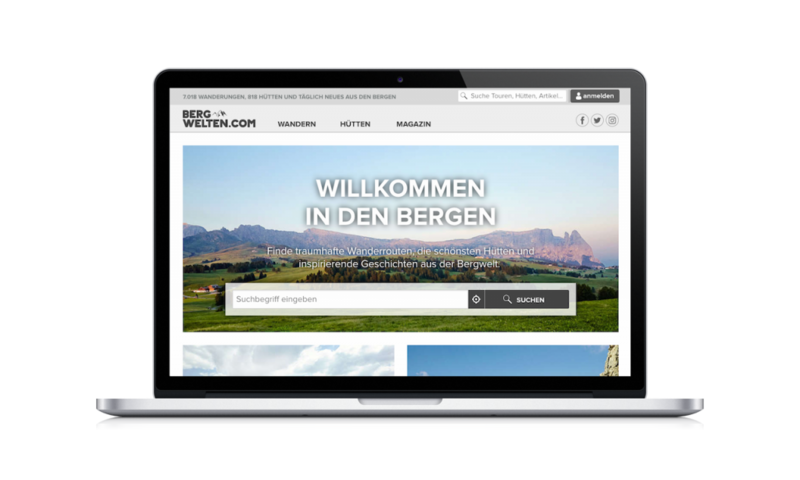 Bergwelten is an alpine adventure magazine for people who love to spend time in the mountains. 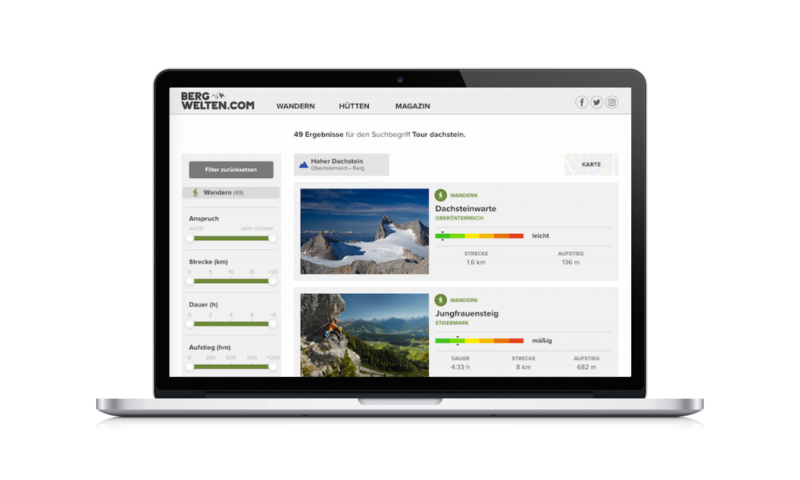 Bergwelten.com offers up-to-date, tailored as well as personalized information for classical alpinists, pleasure hikers, athletes, as well as parents with children. 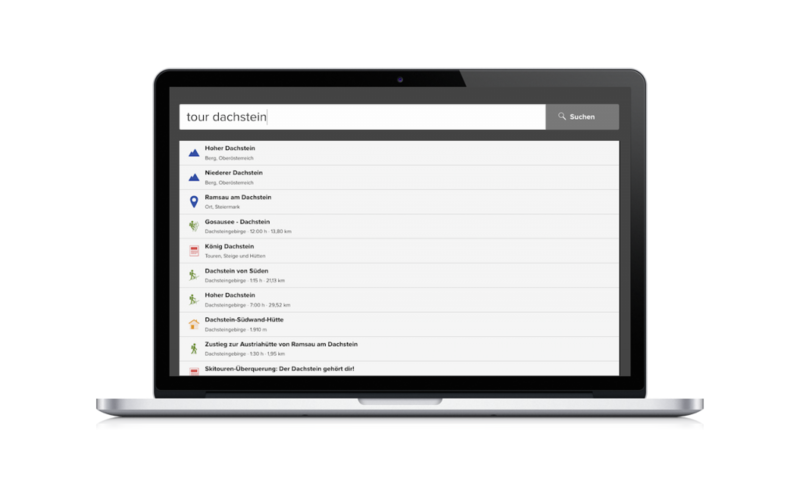 The heart of the portal is the search, which analyzes user requests, intelligently interprets them and allows users to quickly and easily filter the results to their personal preferences. The portal also provides inspiration to all those who would like to explore nature, but get overwhelmed with all the offered tours. Popular tours and similarity-based recommendations build another highlight. 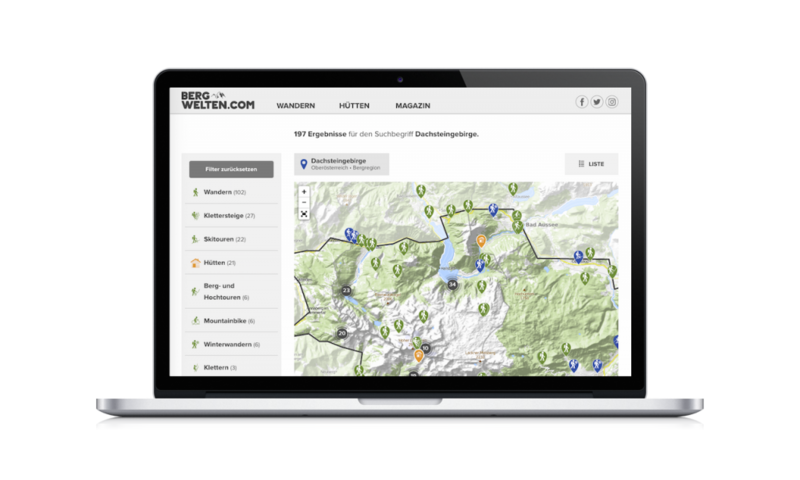 “Cabins nearby” – The geographic search finds cabins alongside mountain- or mountain-bike – paths or along the coastline of a lake. 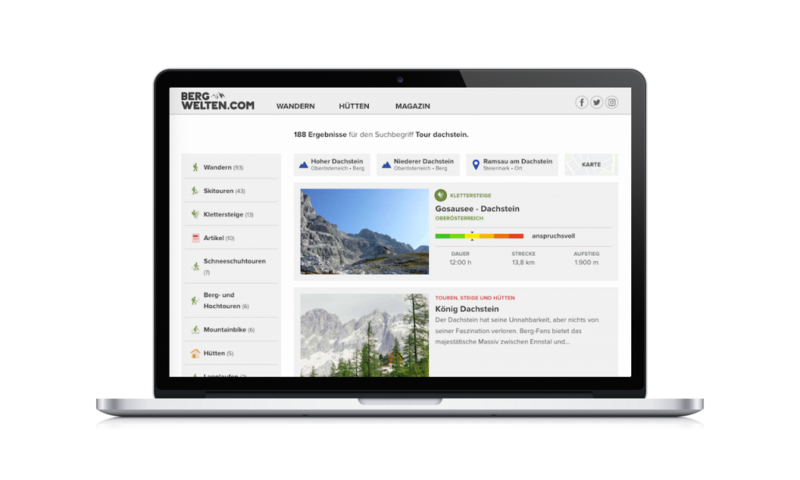 “Intelligent filters” – The search understands queries such as “hiking Salzkammergut” and displays hiking paths in the area of Salzkammergut, by automatically filtering region and characteristics. 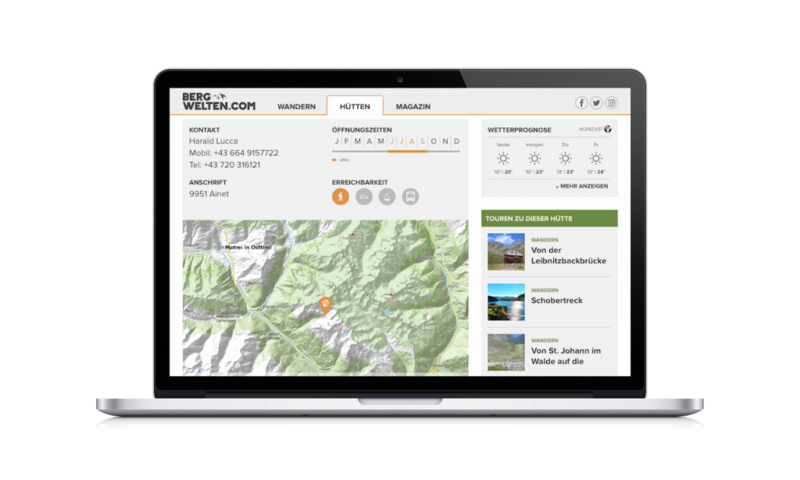 “You might also be interested in these tours” – Semanteer compares and weighs tours based on various features such as duration, altitude difference, accessibility, distance, … and delivers personalized recommendations.